The stage is a "moving museum"? The Hikiyama floats of Nagahama are so beautiful and elegant that they are referred to as moving museums. 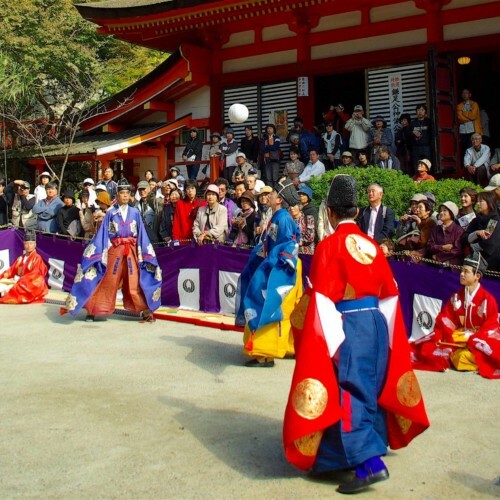 The birth of the son of Toyotomi Hideyoshi, the ruler of the land 400 years ago, marked the beginning of the Hikiyama floats at this festival. 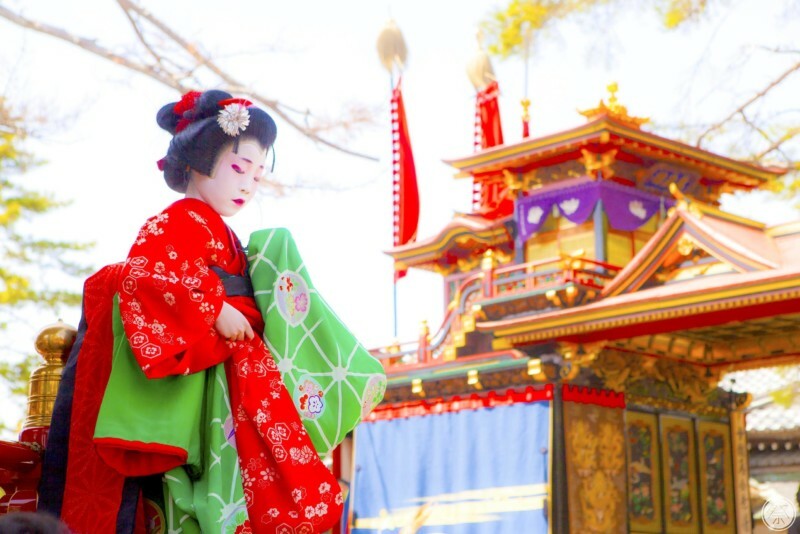 The story says that Hideyoshi celebrated by presenting his people with dust of gold, which they in turn used to fund the construction of these floats. After that, the number of floats increased with the development of the city and have survived until this day thanks to multiple repairs and improvements, not to mention the blood and sweat of generations of artisans. 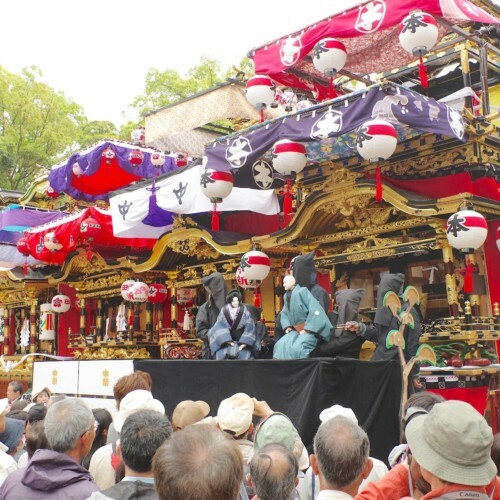 The most awaited attraction is the Kabuki performed by children upon the floats. Made up of kids strictly between five and twelve years of age, this young team of actors blow adults out of the water with passionate applaud worthy acting. 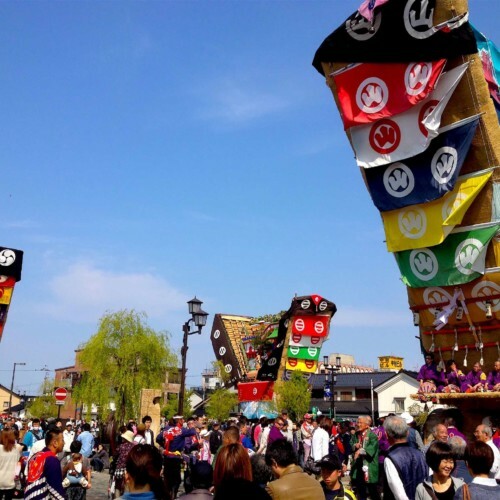 Give the nine-day-long festival time table a good read and make sure to watch the floats and the Kabuki! 1．Be enchanted by the night lights of the moving museums. The thirteen "moving museums" are highlights themselves. 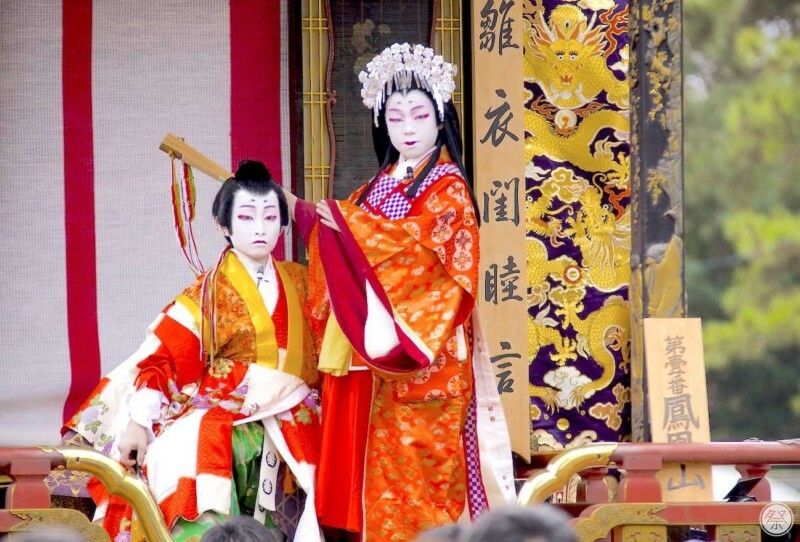 Twelve of them feature stages for the child kabuki of which only four are used in turns each year. The floats boast some of the most chic master craftsman skills such as elaborate carvings and luxurious cloth. 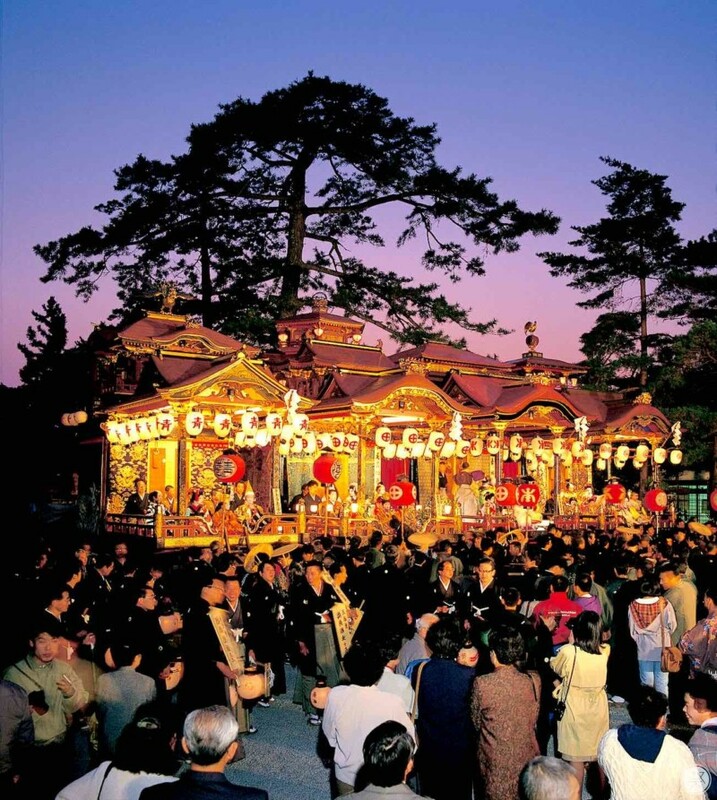 On the night of the main day, April 15th, chochin lanterns are lit to decorate the floats with fantasy-like ambience as they all rest together at the "otabisho." 2．Don't miss the truly impressive acting that entrances even adults. 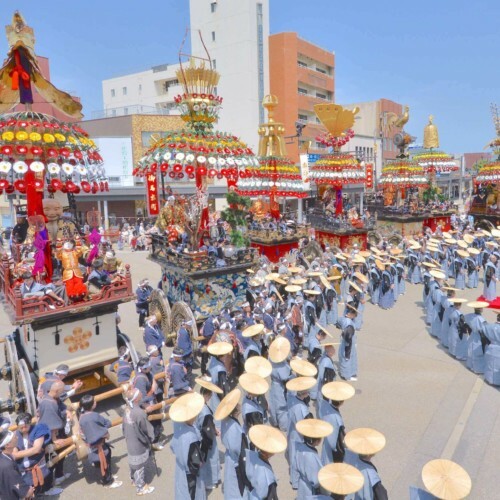 The floats are pulled to a certain location and prepared for child kabuki which features many impressive acts performed by kids between five and twelves years of age. These acts can only be viewed between April 13th through the 16th. On the night of the 14th, the child actors parade the town during the Yakusha Yu Watari. 3．Watch the gallant tiny warriors with giant swords. 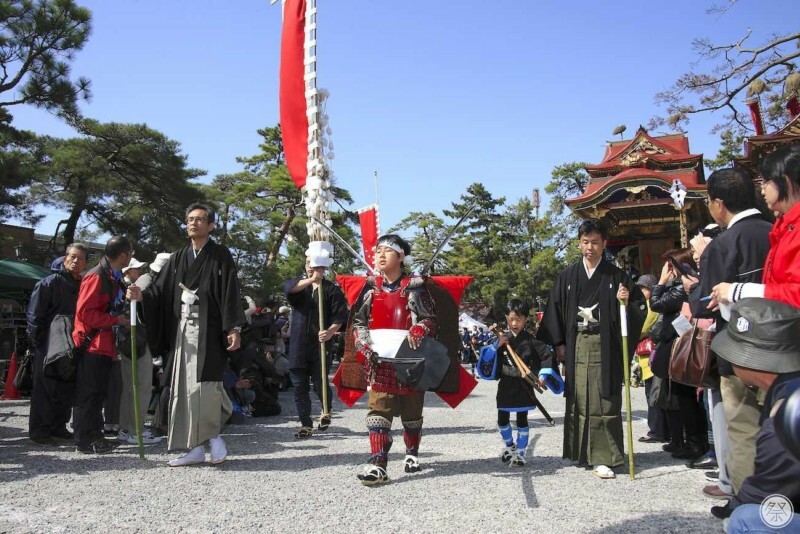 On the main day, April 15th, children parade the city holding humungous swords known as "tachi" for the Tachi Watari. 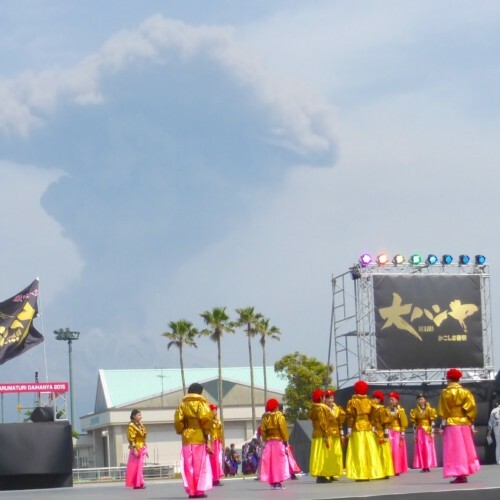 This long-running historical tradition has been continued since the very first festival. Be sure to check out these brave little warriors. 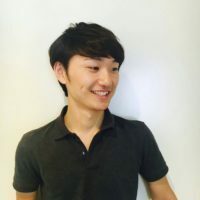 Festival Dates April 13th (Sat) to 16th (Tues), 2019. The main festival day is April 15th, 10:00am to 8:20pm. Same dates every year. Place Nagahama Hachimangu Shrine, and several downtown locations. International Reception and Info. English and Chinese pamphlets are available. Wi-Fi Free Wi-Fi available at the Nagahama City Hikiyama Museum. Restrooms Available at Nagahama Hachimangu Shrine, Otabisho, and certain locations around the shrine walk way. Please be sure to open up plenty of space for approaching floats. Please do not touch the floats. Please do not cut across the path of the Tachi Watari (sword parade). JR Nagahama Station on the Hokuriku Main Line (Lake Biwako Line).